Mother’s Day is a very special day. It is a day where people all over the world are thinking about their Mothers. Some people can see their Mothers but some Mothers live half way across the world. My mom is living in care right now and is confined to a wheelchair because her mobility has decreased so much. I am lucky enough to visit her each weekend and we can still share laughs and smiles and conversation even though she has been struck with Lewy Body Dementia. I remember as a child creating lovely things like macaroni necklaces in school for her special day. At the time, I had wished I could give her more. Now that I am a mom of two daughters, I know that it is the small things, the things that are hand made that mean the most. It’s not just Mother’s Day that warms my heart, it’s being the Mom of two great daughters that makes me happy. I am going to be spending some time celebrating Mom in my classroom this year as I always do. 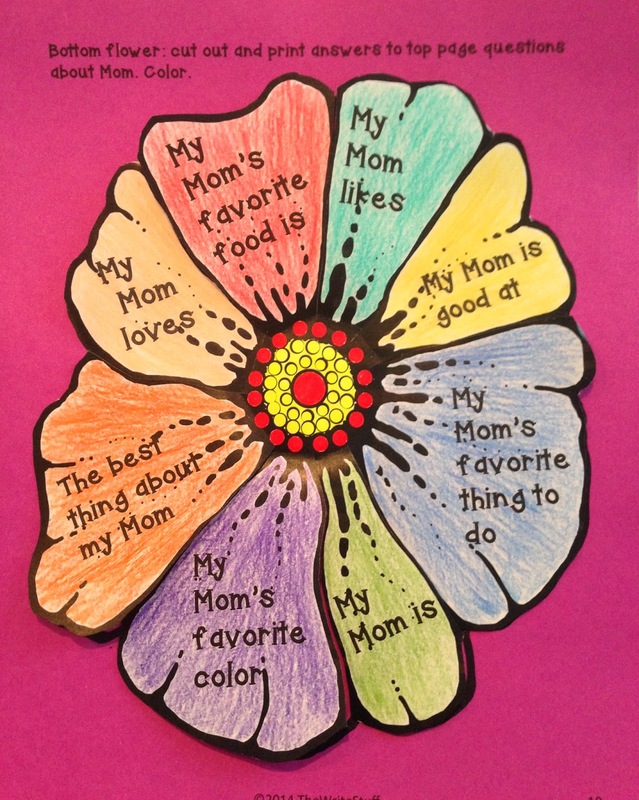 I created a resource that I will be using to enable my students to create a craftivity that suits their very own Mom! 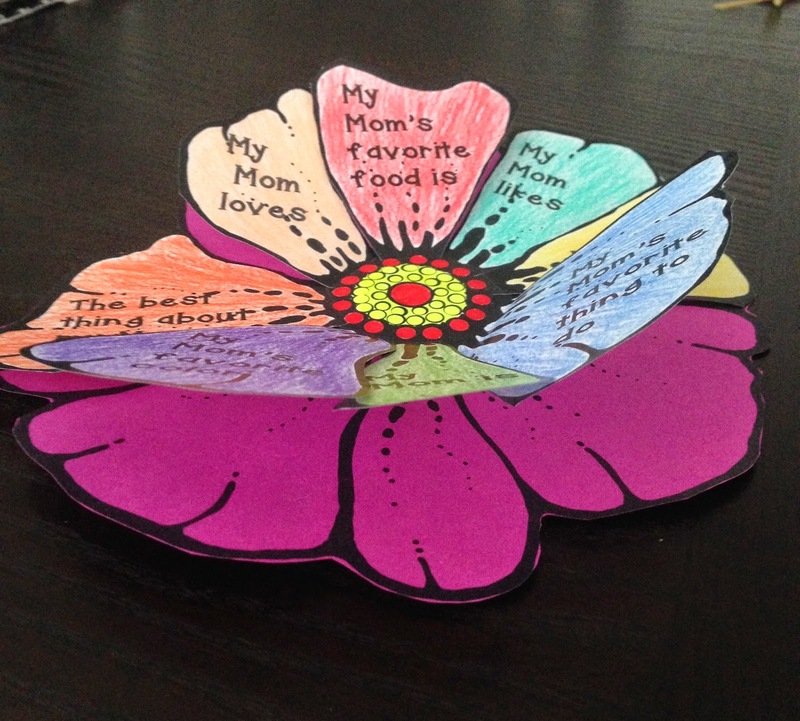 Create this 3-d flower craft by copying the cover onto white paper to color and the bottom onto construction paper. Cut them out! 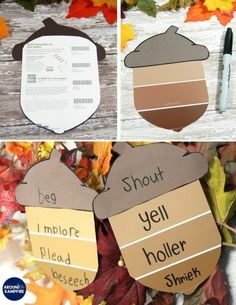 Create a color or black and white card. The color one has a picture of a real tulip inside. There is a black and white version that is a bit more generic. And my favorite! This cute little tablet is just for Mom. 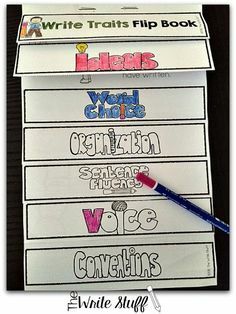 Print the colored sheet off and attach the black and white or print both on black and white and have students design their own. 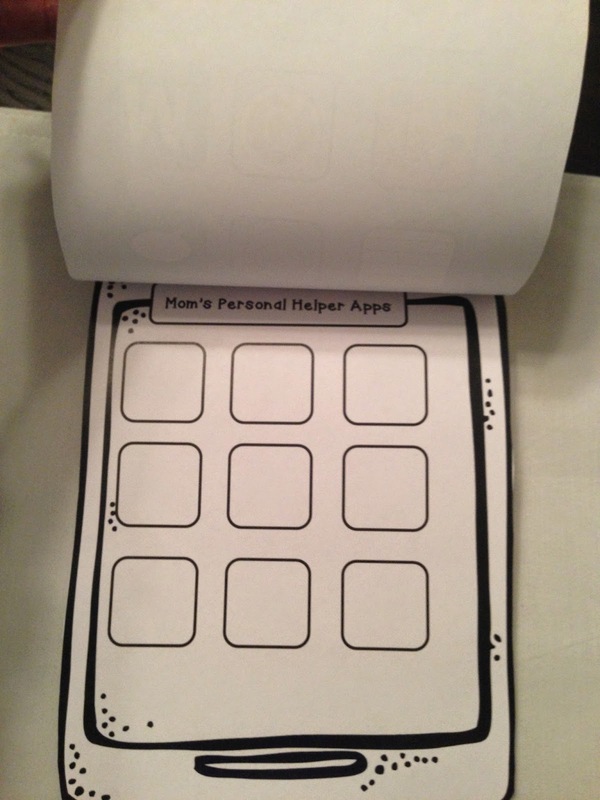 They can make “helper” apps to help Mom or compliment apps. The last craftivity is a running shoe! 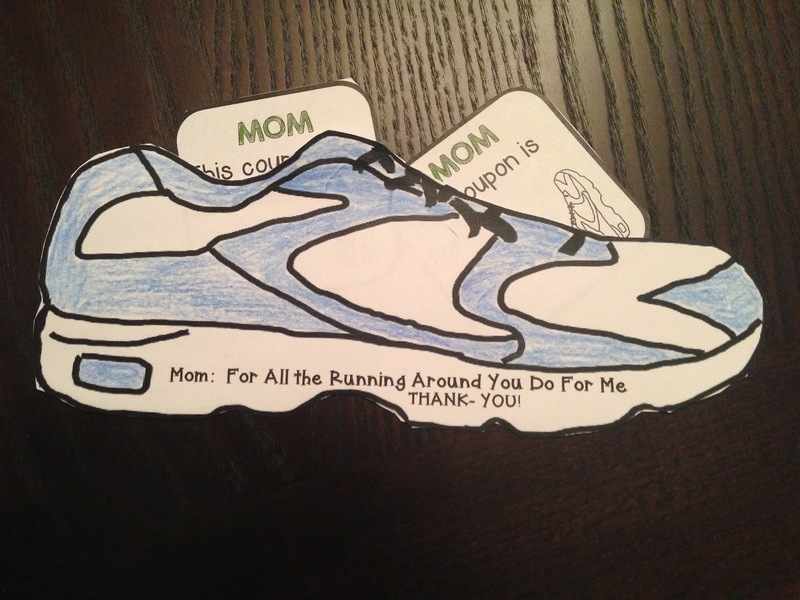 There are a couple of options of how to use it but this one shows a shoe “pocket” where students can fill the pocket with coupons to help Mom “run errands”. 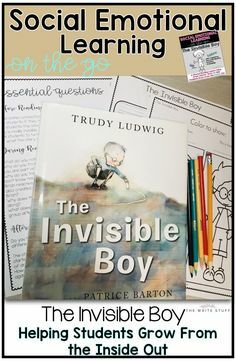 I will be having my students write a little book for their Moms too! 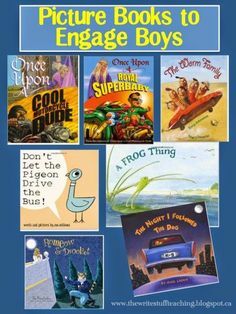 As a Mom I always loved reading my kids’ books. 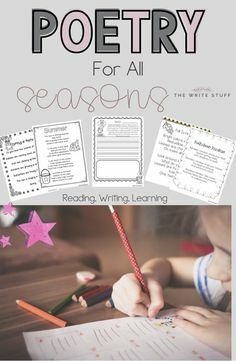 If you would like a copy of this set of writing and craftivities, you can pick it up in my TPT shop. It’s available now by clicking here or by clicking the picture below. It has USA/Canada/Australia friendly spelling options. I wish all the Moms out there a very Happy Mother’s Day! This product was updated. It now includes Father’s Day too!!! You can use the iDad craft, the sports (running shoe craft) as well as specific Dad related books, cards etc. 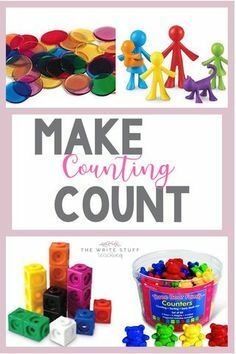 Don’t you just love sets that are good for more than one celebration? That's a beautiful craft for Mother's Day Shelley. As I was reading the description of your day when your girls were little. it brought back so many memories of the same time for me. 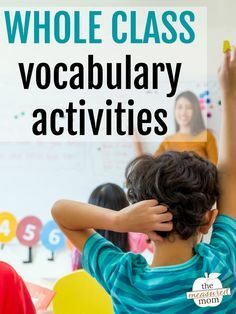 I would leave school late because I was a new teacher, then pick my daughter up and try to cram as much quality time as I could into these few small hours. 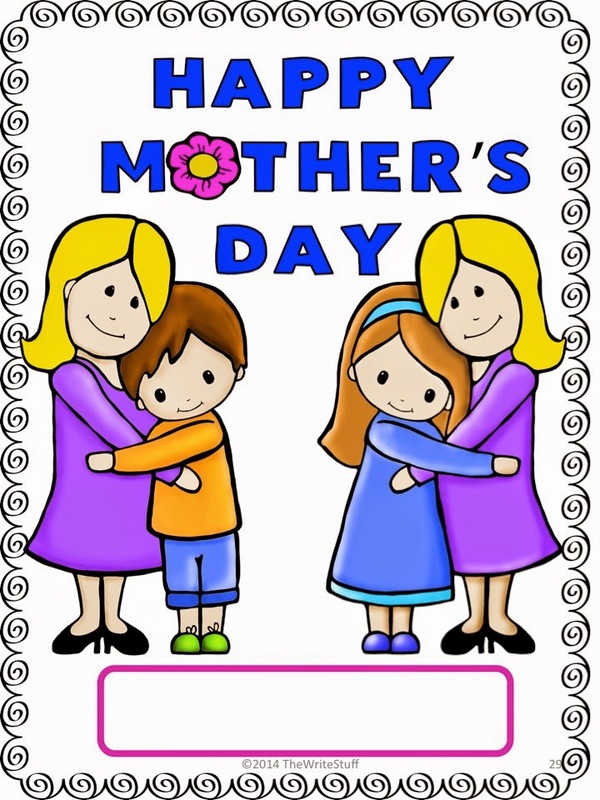 I wish you a Happy Mother's Day in advance. Thanks Leslie. Those were busy days!